Draft: 2007, San Francisco Giants, 21st rd. Full name DANIEL ANTHONY OTERO…Wife, Tiffany...Daughters, Kinsley, Sable and Macey...2017-2019 TribeFest participant. Spent his third season with the Indians, finishing second on club with 58.2 relief IP...Was once again a strike-throwing machine, issuing just two unintentional walks on the season and walked 1 batter via that fashion over his last 59 outings (55.1 IP)...Over his last two seasons has issued just 14 walks in 118.2 innings (7 int'l walks)...Has walked only 7 of 440 right-handed batters faced (1.6%) since the beginning of 2016, best among qualified RPs in MLB...Allowed 12 HR and yielded 69 hits in 58.2 innings (highest HR ratio of his career; 1.9/9IP)...Career ERA of 1.98 (23ER/104.2IP) in 93 games in Progressive Field, the lowest mark of any pitcher (min. 100.0IP) in history of the ballpark...Walked 5 of 247 batters (2.0%), best among qualified RPs in MLB...Has induced opposing hitters to ground into 21 double plays in 88 opportunities (23.9%) since 2017, best among qualified RPs in MLB...LHH hitting .339 (61-for-180) off Otero since start of 2017...Toured Japan with the MLB All-Stars in November. Spent second straight season in the Indians bullpen, posting another solid campaign in middle relief...Posted 18 outings of at least 1.1 IP and allowed runs in 13 of his 52 outings...Got better as the season went along, recording an ERA of 2.29 (35.1IP, 35H, 9ER, 29 games) from June 14 thru the end of the season and recorded an ERA of 1.29 (21.0IP, 16H, 3ER) over his final 17 games from July 30 onward...4 of his 9 walks on the year were intentional as he has walked just 19 of 511 batters (3.7%, 5 IBB) dating back to the start of 2016...Signed a two-year contract with 2020 club option on Dec. 5…Owns a career ERA of 1.67 (13ER, 70.0 IP) in 59 games in Progressive Field with Oakland and Cleveland...Batters hit .290 (29/100) with runners on base against him and .321 (18/56) with runners in scoring position...Left-handed batters hit .500 against him (15/30, .516 OB%) after the All-Star Break…Induced opposing right-handed batters to ground into 16 double plays in 56 opps (28.6%) since the start of 2016 (Rank: 1st)…Walked 18 of 510 batters (3.5%) since the start of 2016 (Rank: 1st of 165 qualified RPs in MLB; League Avg: 9.1%)...Did not walk a RH batter in his last 53 PA's against dating back to July 25th…Zero home runs alowedd in any of the last 24 innings he's appeared and no extra-base hits in his last 15 innings...Was not on the ALDS roster. Had an outstanding season in a middle relief role in his first season in the Indians organization after being acquired in December from Philadelphia…Led the team in relief innings (70.2IP, T13th in the American League) and finished among A.L. relief leaders in ERA (1.53, 3rd) and batting average against (.211, 14th)…Walked just 1.3 batters per 9.0IP and in his career has walked only 1.4 batters per 9.0IP…Walked only 2 of 141 right-handed hitters (1.4%)…Did not walk a batter to lead off an inning all season (OPS allowed of .526; League Avg: .718)...Had eight outings of at least 2.0IP on the year, all of which were scoreless (season-high 2.2IP on August 30 vs. Minnesota)...His left-handed batter average allowed of .197 was 5th-lowest in the A.L., inherited runners scored pct of 30% (12/40) was 16th best...Recorded 53 of 62 outings without allowing an earned run and over his last 22 outings from August 4 thru the end of the season he posted an ERA of 1.33 (27IP, 17H, 4ER)…ERA after September 13 was 1.13 (8.0IP, 4H, 1ER)...Earned his second career save in extra-innings on May 18 at Cincinnati (12.0IP)…Batters hit .252 (27-107) off him with runners on base and .235 (16-68) with RISP…Recorded a season-high 2.2 innings on August 30 vs. Minnesota... Last 27.1 innings without allowing a HR dating back to August 3, only gave up 2 all season)...Allowed an on-base pct. of just .241 on the year (65/269)…Highest monthly ERA before Sept/Oct (2.77) was 2.19 in July… Induced 11 double plays, 6th-most among A.L. relievers…Did not walk a right-handed batter in his last 98 PA's against dating back to May 27, 2016…Batters hit .124 (12-97) when he was ahead in the count. The Miami, FL native has walked only 1.41 batters per 9.0 IP throughout his career and has yielded just 11 home runs in 184.2 innings pitched...He spent most of the 2015 season in Oakland, allowing just 2 runs over his last 7 outings to conclude the season (9.0IP), before being claimed on outright waivers by Philadelphia on November 3... Spent three stints on the AAA Nashville roster... His season ERA never recovered from a 15 appearance stretch from May 20-Sept. 11 where he allowed 26 runs in 19.0IP, including 8 runs (8ER) on August 16 at Baltimore. Spent nearly the entire season with the A's and compiled an 8-2 record with a save and a 2.28 ERA in 72 relief appearances…had a three-day stay at Sacramento from Aug. 21-23 but did not pitch…the games pitched tied for the team lead and tied for 10th in the American League…led AL relievers in batters faced (349), ranked second in innings pitched (86.2) and eighth in fewest walks per nine innings (1.56)…the batters faced and innings pitched were the most by an A's reliever since Justin Duchscherer in 2004 (398 bfp, 96.1 ip)…also led AL relievers in most hits (80), tied for second in wins, ranked fifth in fewest pitches per inning (14.0) and tied for sixth in opponents grounded into double plays (10)…the wins were the most by an A's reliever since 2003 (Foulke 9, Rincon 8)…now has a 10-2 record in his career…walked 15 batters, but seven of those were intentional…the intentional walks tied for the most among all AL pitchers…struck out just 45 batters and his average of 4.67 strikeouts per nine innings was the lowest among AL relievers and second lowest in the majors (Hale, ATL 3.64)…surrendered four home runs, the first home runs he allowed in his career…allowed a .247 opponents batting average, including .219 (41-for-187) against right-handed hitters compared to .285 (39-for-137) against lefthanders… surrendered three of his four home runs to righties…all four came with two outs…opponents batted .219 with runners in scoring position, including .186 with RISP and two outs…had a .232 opponents average over his first 15 pitches in a game, .282 from pitches 16-30 and .308 after that…inherited 55 runners, which was fourth most in the AL…allowed 19 of those to score (34.5%)…has allowed 26- of-74 (35.1%) inherited runners to score in his two seasons with Oakland…first batters faced hit .212… issued just one first-batter walk and it was intentional (.229 on-base percentage)…has walked just two first batters faced in his 117 career games pitched…had a 1.21 ERA in 21 outings on no days rest, a 2.66 ERA in his other 51 appearances…now has a 0.94 ERA (3 er in 28.2 ip) in 30 outings on no days rest in his two seasons with the A's…compiled a 1.41 ERA from the eighth inning on…logged a 1.71 ERA in 34 games against AL West competition…did not allow a run in nine games against Los Angeles (9.2 ip) and has not allowed a run in 12 career appearances against the Angels (15.2 ip)…did not commit an error in 29 total chances and has not made an error in 117 career games and 40 total chances…tossed more than one inning in 29 of his 72 appearances. OAKLAND: Was on an Opening Day roster for the second time in his career (2012 with San Francisco)… allowed a run in his first outing of the season in the day game of the day/night doubleheader against Cleveland April 2…then had a 10.2-inning scoreless streak from April 7 to 25…walked a career-high tying two batters April 9 at Minnesota but tossed 2.2 scoreless innings for the win…also picked up the win in his next outing April 13 at Seattle…surrendered the first home run of his career April 27 at Houston, a two-run shot by Altuve…it snapped a career-opening 55-game, 63.2-inning, 269-batter homerless streak…allowed just two runs in 11 games in April for a 1.42 ERA…then surrendered a season-high three runs in 0.1 innings May 2 at Boston…followed that with a career-high 16.0 inning scoreless streak from May 3 to 22…had six outings of two or more innings over that nine-game stretch…tossed a career-high 3.2 scoreless innings May 17 at Cleveland…was credited with his fourth win of the season in that game to extend his career-opening winning streak to six games…was charged with the first loss of his career May 22 at Tampa Bay when he allowed a season-high tying three runs in 2.1 innings… had a 10.2-inning scoreless streak from May 30 to June 17…had a 19-game, 22.1-inning, 89-batter streak without issuing a walk from May 30 to July 10…the streak ended with an intentional walk July 19 against Baltimore and his next walk was also intentional…had a 32-game, 37.2-ininng, 154-batter streak without an unintentional walk from May 30 to Aug. 24…tossed 20.2 innings in 13 relief appearances in May…those were the most innings pitched by an A's pitcher in a month in which he pitched exclusively in relief since Jeff Tam had 21.1 innings in 15 games in May, 2000…matched his season high by allowing three runs in 0.2 innings June 17 against Texas…recorded the first and only save of his career June 19 against Boston when he tossed a scoreless ninth inning in the A's 4-2 win…finished June with a 1.50 ERA in 15 appearances…then had a 3.72 ERA and .333 opponents batting average in 10 games in July…allowed two runs on a season-high five hits Aug. 9 against Minnesota…then had a 15.1-inning scoreless streak from Aug. 12 to Sept. 14, his fourth scoreless streak of 10 or more innings in 2014…had a 2.28 ERA in 56 appearances when he was optioned to Triple-A Sacramento Aug. 21… did not appear in a game with the River Cats as he was recalled Aug. 24 when Sean Doolittle went on the disabled list…did not allow a run in 14 of his 16 outings following his return (2.30 ERA)…struck out a career-high three batters in 1.1 innings Aug. 27 at Houston but also matched his career high with two walks…logged a 1.26 ERA in 11 games in August and now has a 0.92 ERA (3 er in 29.1 ip) in 21 career appearances in the month…had a 3.18 ERA in 12 games in September…surrendered four runs but they came in back-to-back outings Sept. 18 against Texas (0.1 ip, 2 r) and Sept. 20 against Philadelphia (1.0 ip, 2 r)…was the losing pitcher in the A's 9-8, 12-inning loss at Kansas City Sept. 30 in the Wild Card game (1.1 ip, 3 h, 2 r, 2 er, 1 so). Began the year at Triple-A Sacramento where he went 1-0 with 15 saves and a 0.99 ERA in 23 relief appearances…was promoted to Oakland June 14 and finished the season with the A's, going 2-0 with a 1.38 ERA in 33 games…also worked in four of the A's five ALDS games against Detroit and did not allow a run in 5.2 innings … his 1.38 ERA was the third lowest mark in Oakland history by a rookie with 30 or more innings pitched … did not allow a home run in 39.0 innings with Oakland … the innings pitched were the most in the majors among pitchers with no home runs…they were second most in Oakland history (Devine, 45.2 in 2008)…has not allowed a home run in 51.1 career innings … walked just six batters, an average of 1.38 per nine innings, which ranked third lowest among AL relievers …is just the second Oakland A's reliever to average fewer than 1.46 walks per nine innings (Dennis Eckersley did it six times) … has walked eight batters in his career (1.40 per nine innings) … allowed a .276 batting average, including .269 (21-for-78) against left-handed hitters compared to .284 (21-for-74) against right-handers … his opponents average increased to .318 with runners in scoring position, including .360 with RISP and two outs … allowed 7-of-19 (36.8%) inherited runners to score … first batters faced were 8-for-32 (.250) with a walk … did not allow a run in 14 outings on zero or one days rest (12.2 ip)…compiled a 0.98 ERA in 22 games in Oakland compared to 2.38 in 11 outings on the road…did not allow a run in six interleague games (7.1 ip)…tossed at least one inning in 26 of his 33 appearances, including two or more five times. OAKLAND: Was selected from Triple-A Sacramento June 14 and allowed at least one run in two of his first four appearances for a 7.36 ERA and .421 opponents batting average…then did not allow a run in 19 of his next 20 appearances from June 25 to Sept. 2 for a 0.33 ERA…had a 0.76 ERA over his final 29 contests beginning June 25…matched his career-high with two strikeouts June 14 against Seattle…also struck out two July 25 against Los Angeles (AL), July 30 against Toronto and Aug. 2 against Texas … allowed a season-high two runs on a season-high four hits June 19 at Texas … had a career-high 14.0-inning scoreless streak from June 25 to Aug. 2…tossed a scoreless eighth inning July 2 against Chicago (NL) for his first Major League win…tossed 3.0 shutout innings July 25 against Los Angeles…appeared in just five games in the month of July but did not allow a run in 8.1 innings … then logged a 0.60 ERA in 10 games in August…tossed a career-high 3.1 innings Aug. 2 against Texas and allowed a season-high tying two runs…then had a 12.2-inning scoreless streak from Aug. 6 to Sept. 2…issued his first walk of the season Aug. 9 at Toronto, snapping a season-opening 14-game, 20.2-inning, 79-batter streak without a walk…issued two walks Aug. 26 at Detroit, his first career game with more than one walk…did not allow a run over his final seven outings beginning Sept. 13 (6.0 ip, 5 h, 1 bb, 5 so). SACRAMENTO: Converted all 15 of his save opportunities with the River Cats…it marked the fifth time in seven minor league seasons he reached double figures in saves…now has 101 career minor league saves…ranked third in the A's farm system in saves…his 0.99 ERA was a career-low … walked just one batter and did not allow a home run in 27.1 innings … allowed a .147 opponents batting average, .162 on-base percentage and .200 slugging percentage …the batting average included a .143 (7-for-49) mark against right-handers compared to .152 (7-for-46) against left-handers … did not allow a run in 13 games at home (15.2 ip)…stranded all seven of his inherited runners…did not allow a hit over a six-game stretch from April 11 to 25 (7.2 ip)…began the streak by tossing a season-high 2.1 scoreless innings April 11 against Tacoma … also struck out a season-high three batters in that game and April 28 against Salt Lake … took over as the closer April 13 and recorded the save in eight consecutive appearances through May 9…issued his only walk of the season April 16 at Las Vegas …did not walk a batter over his final 17 games and 19.2 innings…was charged with an unearned run May 9 at Memphis, snapping a season-opening 11-game, 13.2-inning scoreless streak … allowed his first earned run in his next outing May 11 at Nashville…retired 17 consecutive batters from May 17 to June 2…was credited with his lone win of the season May 25 at Tucson when he tossed 2.0 perfect innings…retired the side in order in the ninth inning June 10 at Reno for his 100th career minor league save…also picked up the save in his final Triple-A outing two days later against the Aces. Split time between triple-A Fresno and SanFrancisco, making three seperate appearances onthe Giants' roster. Posted no record with a 5.84 ERA (8er, 12.1ip) in 12 relief appearances for the Giants. Was on SF's Opening Day roster and made his Major League debut on April 7 at Arizona. Did not allow an inherited runner to score during in 12 games for SF (10 IR in 12.1ip). Went 5-5 with a 2.90 ERA (20er, 62.0ip) in 48 relief appearances for triple-A Fresno. Was awarded the Harry S. Jordon Award in spring camp by his teammates, coaches and trainers...The award is given in recognition of the player whole performance anddedication in spring training best exemplifies the San Francisco Giants spirit. Combined to go 3-4 with 2.31 ERA (19er, 74.0ip) and 13 saves in 56 games between double-ARichmond and triple-A Fresno ... Went 1-1 with save and 1.42 ERA (6er/ 38.0ip) in 23 reliefappearances for double-A Richmond to begin season...struck out 40 batters, while recording just 4 BBs. ... Was transferred to triple-A Fresno on June 16 and went 2-3 with 3.25 ERA (13er, 36.0ip) and 12 saves in 33 games. ... Recorded career-high 6 strikeouts on April 27 vs. Trenton in 3.0-scoreless innings of relief. ... Worked 16.0-scoreless innings in 9 games from April 22-May 19...recorded 20 strikeouts, while walking only1 batter during stretch. Pitched in only 19 games between ARL-Giants and Class A Advanced San Jose, while going 5-0with 2.25 ERA (6er, 24.0ip). ... Began season on disabled list recovering from Tommy John surgery on his right elbow and missed 1st 4 months of season. Went 0-3 with 1.15 ERA (5er, 39.0ip) and 19 saves in 39 relief appearances with double-A Connecticut. ... Posted 3rd-most saves (tied for most in Giants' organizationwith Geno Espineli) in Eastern League with 19. ... Was placed on disabled list on July 27th and underwentTommy John surgery...remained on DL for remainderof season. Combined to go 1-1 with 2.00 ERA (12er, 54.0ip) and 34 saves between Class A Augusta andClass A Advanced San Jose. ... Worked career-high 25.1-scoreless innings from April6-June 12 to begin season. ... Was named to South Atlantic League mid-seasonAll-Star team. ... Ranked 2nd in all of minor league baseball with 34 savesin 2008, trailing only Birmingham's Jon Link (35). Saved 19 games for short-season Salem-Keizer in his 1st professional season, while posting 1.21ERA (3er, 22.1ip) in 22 games ... Led Northwest League in saves (19) in 2007. ... Was named Class A Relief Pitcher of Year by MiLB.comin 2007. ... Named to Northwest League postseason All-Star team. October 12, 2017 Cleveland Indians activated RHP Dan Otero. October 5, 2017 Cleveland Indians reassigned RHP Dan Otero to the minor leagues. September 1, 2017 Cleveland Indians reassigned RHP Dan Otero to the minor leagues. August 30, 2017 Cleveland Indians placed RHP Dan Otero on the paternity list. December 18, 2015 Philadelphia Phillies traded RHP Dan Otero to Cleveland Indians for cash. December 12, 2015 Philadelphia Phillies designated RHP Dan Otero for assignment. November 3, 2015 Philadelphia Phillies claimed RHP Dan Otero off waivers from Oakland Athletics. September 1, 2015 Oakland Athletics recalled RHP Dan Otero from Nashville Sounds. August 22, 2015 Oakland Athletics optioned RHP Dan Otero to Nashville Sounds. August 15, 2015 Oakland Athletics recalled Dan Otero from Nashville Sounds. August 3, 2015 Oakland Athletics optioned RHP Dan Otero to Nashville Sounds. July 12, 2015 Oakland Athletics recalled Dan Otero from Nashville Sounds. June 5, 2015 Oakland Athletics optioned RHP Dan Otero to Nashville Sounds. April 27, 2015 RHP Dan Otero assigned to Nashville Sounds. August 24, 2014 Oakland Athletics recalled Dan Otero from Sacramento River Cats. August 21, 2014 Oakland Athletics optioned RHP Dan Otero to Sacramento River Cats. June 14, 2013 Oakland Athletics selected the contract of Dan Otero from Sacramento River Cats. April 7, 2013 Oakland Athletics sent Dan Otero outright to Sacramento River Cats. April 5, 2013 Oakland Athletics designated Dan Otero for assignment. March 29, 2013 Oakland Athletics claimed RHP Dan Otero off waivers from New York Yankees. March 29, 2013 Oakland Athletics optioned RHP Dan Otero to Sacramento River Cats. 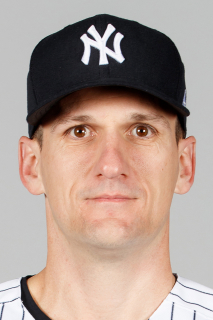 March 27, 2013 New York Yankees designated Dan Otero for assignment. March 26, 2013 New York Yankees claimed RHP Dan Otero off waivers from San Francisco Giants. March 16, 2013 Dan Otero assigned to San Francisco Giants. March 15, 2013 San Francisco Giants optioned Dan Otero to Fresno Grizzlies. October 29, 2012 Dan Otero roster status changed by San Francisco Giants. September 4, 2012 San Francisco Giants recalled RHP Dan Otero from Fresno Grizzlies. August 16, 2012 San Francisco Giants optioned Dan Otero to Fresno Grizzlies. August 14, 2012 San Francisco Giants recalled Dan Otero from Fresno Grizzlies. April 27, 2012 San Francisco Giants optioned Dan Otero to Fresno Grizzlies. November 18, 2011 San Francisco Giants selected the contract of Dan Otero from Fresno Grizzlies. June 16, 2011 Dan Otero assigned to Fresno Grizzlies from Richmond Flying Squirrels. April 2, 2011 Dan Otero assigned to Richmond Flying Squirrels from AZL Giants. September 8, 2010 Dan Otero assigned to AZL Giants from San Jose Giants. August 2, 2010 Dan Otero assigned to San Jose Giants from AZL Giants. July 4, 2010 Dan Otero assigned to AZL Giants. July 4, 2010 Dan Otero assigned to AZL Mariners. July 27, 2009 Connecticut Defenders placed RHP Dan Otero on the 7-day disabled list. Sore right arm. June 7, 2009 Connecticut Defenders placed Dan Otero on the reserve list.